We would like to thank you for sponsoring TAS for the year 2013. Ready for a day out at the beach before the semester gets heavy with studio, projects and lessons? 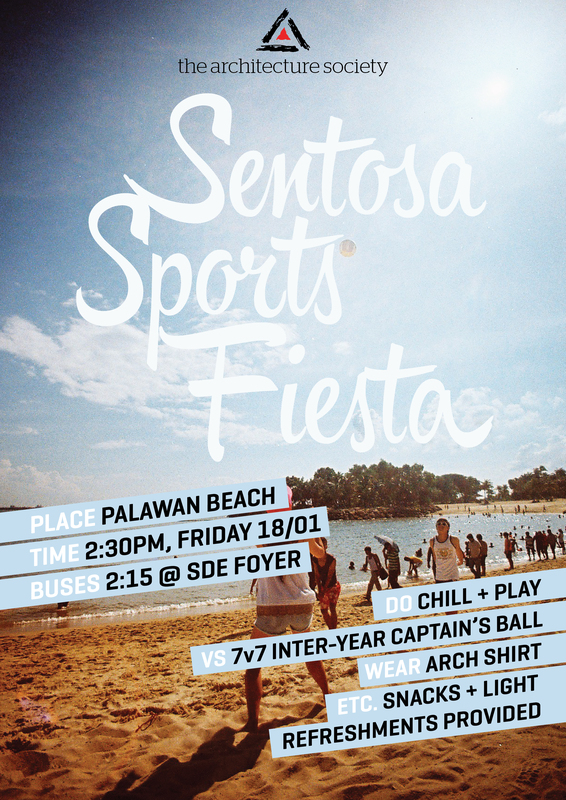 We’re headed to Sentosa this Friday to chill and have a bit of fun. Come down and join us at 2:30pm at Palawan Beach, and get ready for an exciting 7v7 inter-year captain’s ball tournament, and some downtime by the sea. Light snacks and refreshments will be served, so why not come by and let loose before the work starts piling up! RSVP to our Facebook even here!